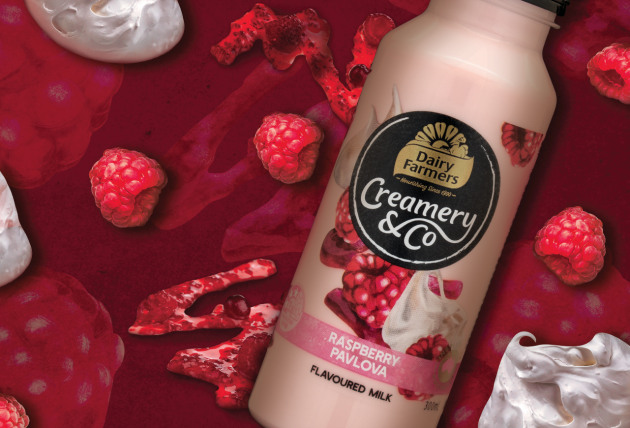 Dairy Farmers has added the Creamery and Co range to its product portfolio, teaming with suppliers Lion Dairy & Drinks and design agency The Edison Agency to assist with brand strategy and design. Inspired by Australia’s terrain and landscape, the product names, asset creation, and packaging design for the Creamery and Co range were proposition to showcase the best of Dairy Farmers, an iconic Australian brand established in 1900. Edison created bespoke watercolour and pencil illustrations to evoke the sensory indulgence of the unique ingredients, as well as featuring a custom word-mark crafted by renowned Australian typographer Lachlan Philips. "The way we have arranged the imagery so that the ingredients interact with each other also gave us a way to visually tell the story of how the flavours have come together," he said. "We wanted to perfectly capture both the sense of indulgence in the ingredients and the contemporary provenance story of Creamery & Co."
"The colour palette was heavily influenced by the flavours and the ingredients themselves. We wanted to ensure that we were delivering enough sensory cues that reinforce the flavour so that you could almost taste the indulgent flavours just by looking at them." Lion Dairy and Drinks marketing and innovation direct Darryn Wallace, says the range is an exciting addition to the Dairy Farmers portfolio. Dairy Farmers Creamery and Co has debuted with three flavours – Great Southern Caramel, Murray River Salted Chocolate, and Raspberry Pavlova – and all are now available in stores around the country.